There is no denying the presence, power and the hold of the internet has over us and our modern times. From a world of analog buying, selling, searching, communicating, and such, we now live in a virtual wonderland where everything is done through, with, and even by the internet. In this article we list the 21 top-earning internet companies across the world (even more than half of it came from the Land of the Free, Unites States!) Read on and quench your curiosity! Ever wanted to know something and surfed the internet in the lands of Russia? 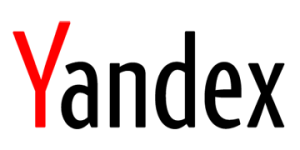 If you answered yes, you probably have come across Yandex, the country’s prime search engine. The company continually developed internet based applications and services, which furthered its popularity amongst Russian users – by April 2012, the company would get 150 million searches per day, and 50.5 million visitors by February of 2013. The company has gotten so big in the country that its market share has rocketed up to 60%. With its headquarters firmly planted and established on the grounds of Moscow, Russia, the company has had a revenue of $900 million in 2014, with a 5,514 employees. ASOS.com is a Great Britain-based online fashion and beauty site that targets fashionable young adults. The site carries various brands that offer menswear and womenswear, accessories, jewelries, and beauty and skincare products. By operating in multiple countries such as UK, Australia, USA, France, Germany, Spain, Russia, Italy, and China, the online company was able to gain $1.40 billion in their 2014 fiscal year. Their success has been so vast that this year the company was able launch their first drama-game show calles #DIGIDATING, a reality dating show that promises backstage drama. Have you ever become so bored that you started searching popular travel spots? Or maybe you are travelling over the summer, and would want to know what to expect when you get to your dream getaway? This curiosity and burning questions are TripAdvisor’s main capital – the online site is an American travel website that provides interactive, user-generated, travel-related articles and forums. This kind of site setup has given TripAdvisor a staggering revenue of $1.5 billion in 2015. All the travelling you can do with all those money. NetEase is China’s premier technology company that deals with services centered around content creation, community and communications, as well as commerce. They develop, produce, and maintain the most popular games (both in mobile and in PC), advertising, e-mail services, and several e-commerce platforms. By offering so many services to the citizens of China, the multitasking online company was able to earn a $2 billion dollars in 2014 alone! Twitter is a popular social networking site wherein users can write and read whatever within 140 characters. Created by Jack Dorsey, Evan Williams, Biz Stone, and Noah Glass in 2006, The site blew up that by 2012 it processes 340 million tweets a day, and by 2015, the site recorded 500 million registered users. It also helps that virtually every celebrity has an account on the said website to further propel the website to everyone’s consciousness. The site has earned an impressive $2.22 billion in 2015. 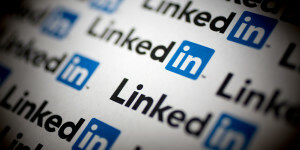 LinkedIn has innovated social networking sites by mixing it with business. Before LinkedIn, social networking sites are mainly used to interact with friends, to make friends, and to communicate with people that are important to one’s life. LinkedIn came into the scene and professional networking became a thing – the site has made profit and revenue by selling the information of its users to different recruiters and sales professionals. In 2015, this kind of setup gave them a revenue of $2.99 billion – impressive! Groupon is an e-commerce platform that connects its subscriber to many brand deals online. Ever since its launch in 2008, it has expanded to a lot of markets all over the world. As it expanded, its marketing model also evolved, with different promos that will surely entice more customers, such as a VIP promo, wherein subscribers get notifications on deals 12 hours before it goes live on the site itself. This seems to help the cause of the online company – in 2015, Groupon was able to earn $3.1 billion dollars! The other Google, Yahoo is a web portal and search engine company that earned a $4.97 billion dollars in 2015 alone. The site and online company is one of the most popular sites in the United States and around the globe as it is visited by 700 million people every month. It also is the highest read news and media website, with a reader-base that is 7 billion per month. They offer an array of services, such as mail service, online mapping, video sharing, fantasy sports, finance news, advertising, directory, and news. They are currently based in Sunnyvale, CA, USA, with 12, 500 employees. Baidu is China’s leading search website and web services company offers an engine to search for audio, files, and images. The company offers a total of 57 search communities that users can go to for specific reasons. 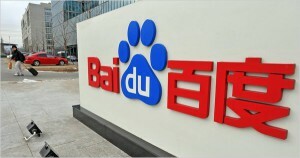 From its launch in 2002, the company has significantly (and this is an understatement, mind you) grown – in 2010, Baidu has a 56.6% share on China’s internet-search revenue. In 2011, however, this number grew to 76%. 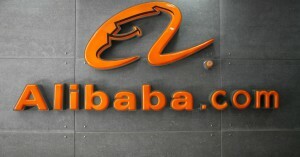 Baidu is the first Chinese company to be included in NASDAQ-100 index. In 2014, the company earned $5.21 billion. With the advancement of technology, new and newer technology are always being made, and developed. 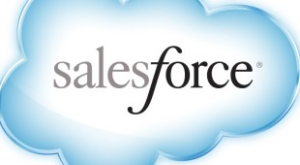 Salesforce.com is one of the product of these innovations – it is an American cloud computing company that is based in San Francisco, California. In 2015, the company was able to get a revenue of $5.37 billion through customer relationship management. They profit from acquiring applications of social networking. The lone company to come from Japan, Rakuten is basically an electronic commerce and internet company that is established in Tokyo. Started from being a mall, until in 2005 the company started to buy online buy-and-sell sites, such as Buy.com, Play.com, Wuaki.tv, and many more. 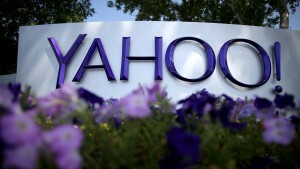 It also has invested in some social networking sites, such as Pinterest. In 2015, the company has earned huge revenue of $6.3 billion. Whenever anyone’s travelling, one main concern is the bookings, and such. This is where Expedia, Inc. builds its careers – the company is the parent company to many online travel sites, such as Expedia.com, Hotels.com, Venere.com, Travelocity, Orbitz, and many more. The company is present in more than 60 countries, with partnerships with over a 10,000 travel brands. Impressively, in 2015, the company was able to rake in a revenue of $6.67 billion. Imagine all the islands you can buy with that money! Ah – the site that everyone loves and everyone would love to spend money on. Heard of the phrase ‘Netflix and Chill?’ – yes, this is that Netflix! Netflix is a site wherein all your favorite shows are being streamed. They also have original materials, which many of its subscribers love and live for. The company started as a DVD-by-mail type of company, but by 2007, started its streaming services. Now, the company has been raking in money from all sorts and kinds of markets (as they are now available in over 190 countries). In 2015, they earned $6.77 billion in from subscriptions. Yep, people are just throwing their money at Netflix just to see their favorite shows. Dedication, and boredom. One of the more known buy-and-sell, customer-to-customer, business-to-customer e-commerce and trade. eBay is a multinational corporation that is present in over 30 countries, and uses the power of the internet to secure deals online. Aside from that, the company also earns from sellers, as they charge for every item that will be up on the site. By the end of last year, the site has earned itself a big $8.59 billion, a number that is not commonly scene in anyone’s bank account. Priceline Group is yet another travel company. 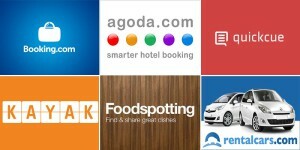 It manages six brands: Booking.com, priceline.com, agoda.com, KAYAK, rentalcars.com, and OpenTable. The company operates in over 200 countries (very impressive! ), and in 40 languages.With such a big market, earning $9.22 billion in a single fiscal year (2015!) doesn’t seem to be that crazy. Or is it, still? Alibaba is another Chinese e-commerce company that offers customer-to-customer, business-to-customer sales via the wonderful internet. What is interesting with this company is how it has its own electronic payment services, as well as a data-centric cloud computing services. From its founding in 1995, the company only continues to grow – their latest revenue (for the year 2015) is at $12.89 billion! A company with a truly amazing success story. Tencent Holdings Limited is a holding company whose subsidiaries are entertainment, internet, and mobile value-added services providers, as well as advertising. It works on social networks, web portals, e-commerce sites, and the booming multiplayer online games industry. They hold QQ.com, one of the largest web portals in China, as well as WeChat, a very popular communication app all over the world. By operating such large online and web platforms, the company, in 2014, was able to earn a crazy $12.89 billion. Let’s face it – who doesn’t know about Facebook? Facebook – the social media network that started it all (again), in the 21st century. A company that is based in Menlo Park, California, Facebook has become one of the most recognizable product of the internet. Ever since its launch in 2004, the company only continued to grow – partnering with many large companies such as Google, Samsung, and the like. Their product line also had expounded – messengers, group apps: name it, they already have done it. In 2015, the company declared a $17.93 revenue. Zuckerberg has definitely hit the jackpot. Another Chinese brand, JD.com is another e-commerce platform that has been taking the Chinese society by storm. The company – the tangible one – was founded June 1998. It is only until 2004 that they were able to make their website live to the people. From then on, the site only continued to be popular among the Chinese buyers – in 2015, the company was able to have a revenue of $28 billion! Being one of the companies that represents the internet, Google is sure to be in, if not the top, this list. Google is a multinational, multi-technology company that has been making the lives of many people easier by the day. The company has originally been an internet-related services provider, such as online advertising, search engines, cloud computing, and more. 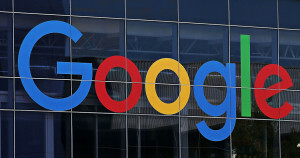 From there, Google has branched out and has launched a software for mobile devices – Android – that has rivalled another monster company, Apple. In 2015, Google as declared that they were able to earn an amazing, and very unbelievable amount of $74.98 billion dollars. Impressive, just like their forward, and inspiring technologies! And the one, the top-earning company is: Amazon! Amazon is an electronic commerce and cloud computing company that is based in Seattle, Washington. Ever needed anything? Amazon will be there for you, for anything, and at any time. The company started as an online bookstore, until it diversified its offerings to numerous things (practically anything): CDs, audiobooks, software, games, furniture, food – just name it and you WILL have it! In 2015, the company earned a ridiculous revenue of $107 billion dollars – amazing, right? The company, however, has 230,800 employees, so this earning can easily be justified. But still – Amazon’s (and its earnings) pretty dope, right? The internet is the future, and it’s not going anywhere any time soon. Have you been inspired by these now-successful online sites to make and start your own? Don’t wait – do it! Start now and be known as the next Amazon, a company that earns an entire country’s GDP in a year.